We are pleased to have you in our practice and hope to continue serving you well. 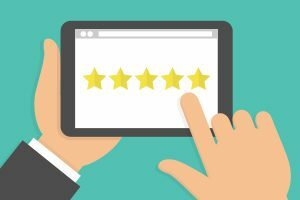 We strive to deliver the type of personal service and friendly atmosphere that you want from a dental office, so if you’ve had a good experience and would like to share, please take a few moments to write us a review! We value your opinion and appreciate hearing both about the positive ways we’ve helped patients, as well as the things we might need to improve. Was your telephone call handled courteously? Did you receive the information you were looking for? How about when you came into our office? Were we able to schedule appointments at convenient times? Have any of our team members been particularly helpful? Please let us know so that we can express appreciation! Were you thoroughly informed about fees, time involvement for procedures, and your treatment plan? Were we thorough in explaining instructions for your post-treatment care? Have we made it clear how you can best practice and maintain good oral health? Have you been made to feel comfortable during your visits with us? Would you recommend us to friends or family?